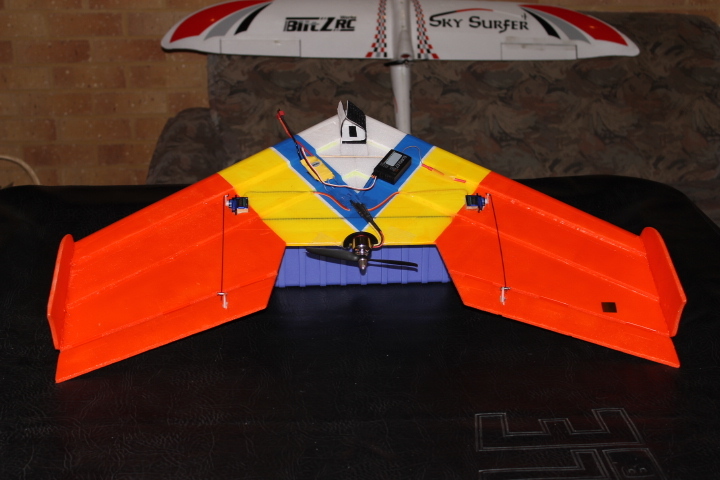 Here is a small delta that I designed that is being flown by a few guys on YouTube. Its a great little flyer. Let me know what you think! Included is the build video. Nice Wing! Looks locked in! use of the control horns. What a great scratch build. Thanks guys! 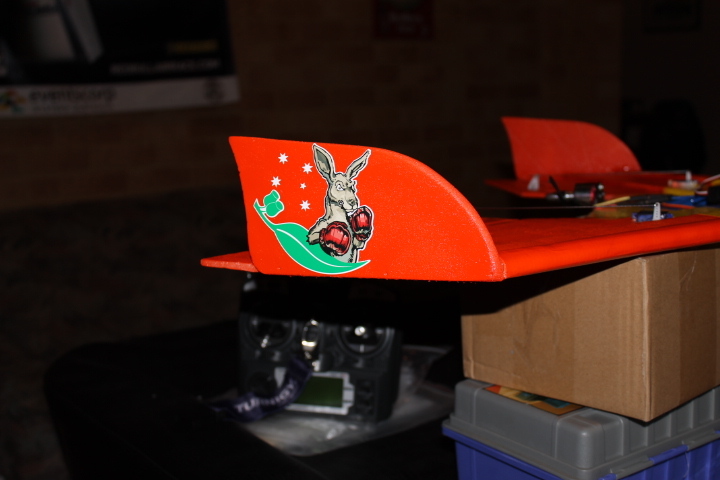 I am now working on a version of this wing with a slimmer kfm4 airfoil and a faster motor. I want to see how far I can push this wing! I loved your design for its simplicity and performance so decided to build one of my own! 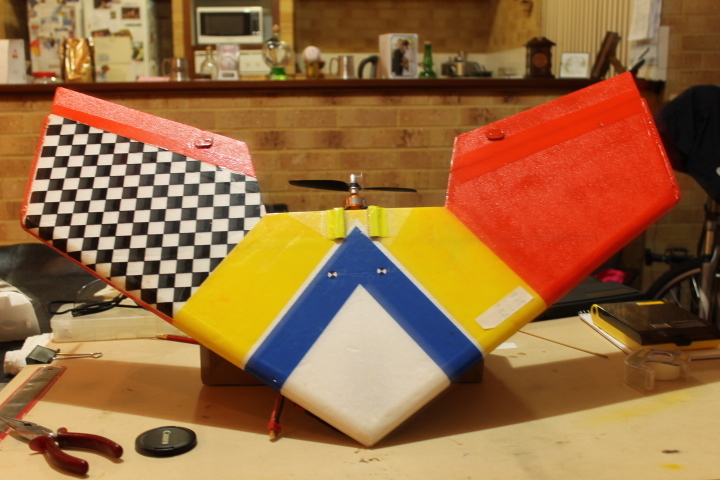 I'm about half way through the build process cant wait to get this thing ready for flight! will post pics of the final product as soon as im done! Too bad the sun just set over here so i'll have to wait for tomorrow to maiden it, really excited!! Thanx schraut5 for sharing your wings dimentions! 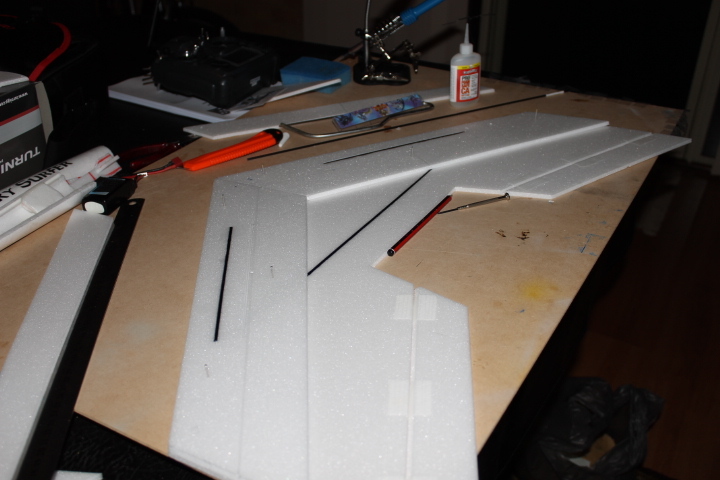 Like KEEK, I am about 1/2 way through building your wing as well, I came across your build video on YouTube, and was really taken with it. I am waiting on some parts, so it is in a real holding pattern for the time being. One thing that I have altered from your design and I am a little nerves about is that I couldn't get my hands on any pink foam so I am using a second 6mm Depron piece to make a KF. 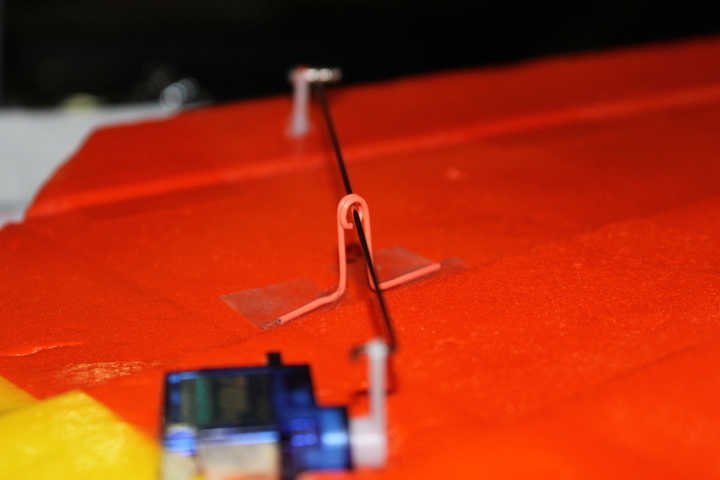 I have also reshaped the KF so it tapers down at the ends. I am now waiting for a carbon rod and then I intend to use extreme tape in a criss cross pattern across the centre line to help with stability. and.... Thanks for the design and the build video, very good and very helpful! just finished building the plane, great design and tutorial by the way. I am having an issue with CG. mine is 8.5 inches from the nose, this is to do with my bigger motor I presume. so i brought the motor forward and this has moved the CG to 8 inches from the nose. I wonder if this is OK, and if it is not, I would like to know what I can do to fix this situation. below are the parts I have used. would appreciate any advice you guys have. Great to see people getting behind this design, it's great. Last time I wrote on this thread I was only half way through the build. During the build I changed a few little things if you look closely I used a two level Kf 4 on my wing and then used carbon to reinforce in all directions. 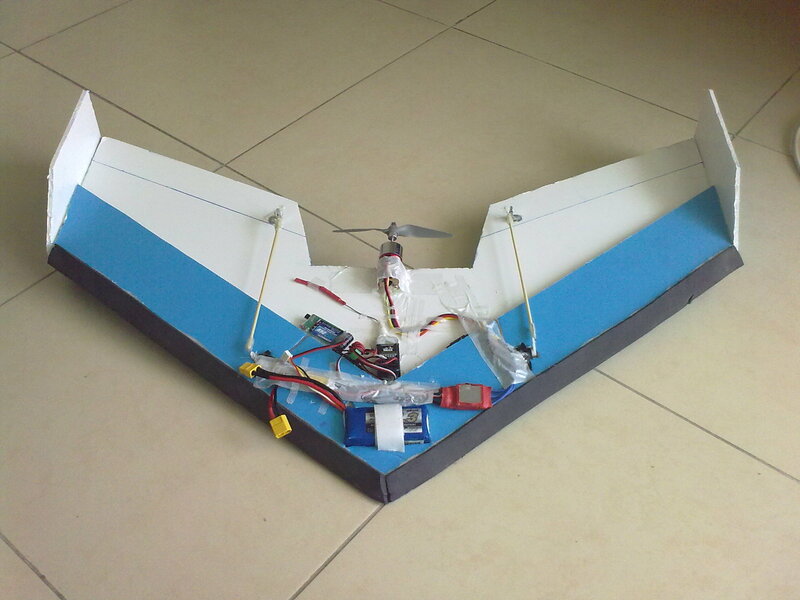 Like Comickid I used a 2200Kv motor on my wing and OMG is it quick! Vertical is almost frightening. It doesn't slow down in any way it just keeps going until it's out of sight. My first flight almost resulted in a lost plane as I didn't realise how high it got so fast. To get it down I just had to kill the throttle and let it fall until I had sight of the plane and then rush to get it back under control. Once that was understood, what a beast. I'm hoping to borrow a speed gun from my local baseball club and clock it next time I take it out. If I can I'll let you know how I go. 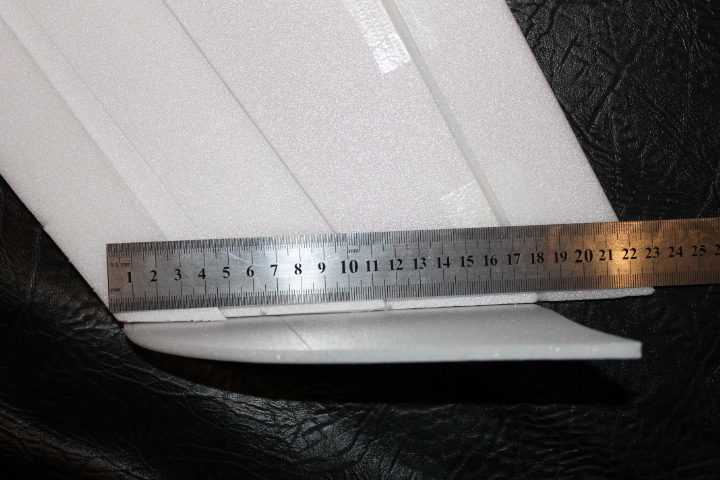 By the way my CG is 19cm or 7.5" from the tip of the nose. I photographed each step of my build with the intention of writing a build log article on this wing, so if anyone wants other photo's please let me know. I hope these are of some use to someone!